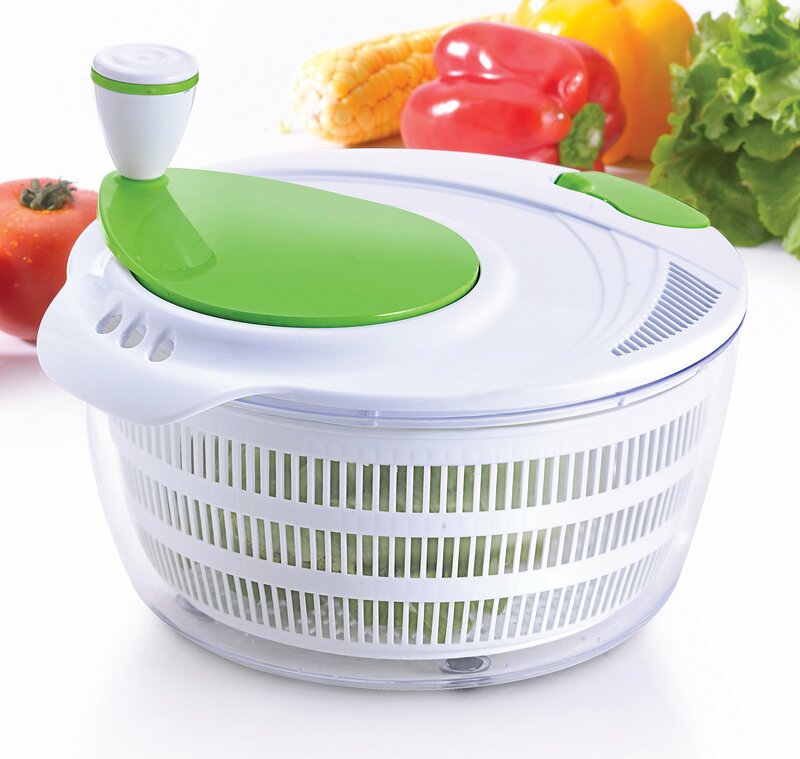 This hand salad spinner allows you to easily wash and spin-dry your saladingredients so that they're ready to serve. Fill the container withingredients, add water and turn the knob to spin. You can then empty thewater—without even removing the lid—and your salad will be ready to serve.Easy-to-use design and non-skid base The non-skid base of the Kuuk saladspinner makes it among the best salad spinners on the market today. When youplace the spinner on the counter, it will grip to the counter surface andensure that there is no sliding when you start to turn the knob. What's more,your kitchen counter will remain dry as there's no water spillage! Use base asserving bowl or storage container The non-skid base of this salad mixer caneasily double as a serving bowl, after all, when you wash and mix your saladit will be ready to serve immediately. If there's leftovers that you want tosave for later, simply cover the base with plastic wrap and place in thefridge as you would with any other tupperware container. Dishwasher safe andeasy to clean by hand When your salad is done, you can easily clean the Kuuksalad spinner in the sink by simply rinsing with warm soapy water. Or you canplace it in the dishwasher for cleaning, as all the pieces are 100% dishwashersafe.